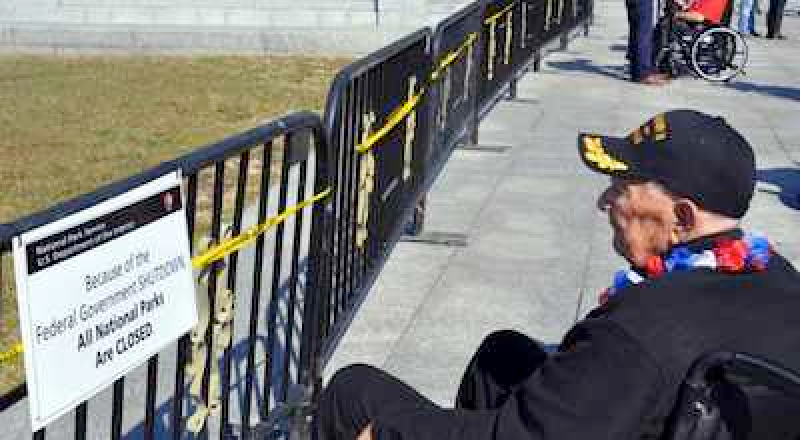 Here’s a picture of an “essential” government worker blockading veterans from their own memorial. The President of the United States, embittered by Republicans and refusing to negotiate, is purposely harming the American people in hopes of scoring political points. And who better to bully than four bus-loads of WWII veterans showing up to see their own memorial? The memorial was almost entirely funded by private donations. Thanks in part to a few members of Congress who moved the barriers, the vets made it inside. 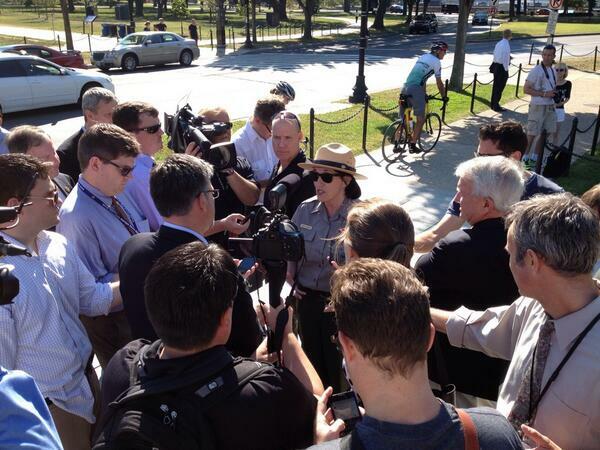 The Park Police apparently abandoned Obama’s vet-blockade and refused to arrest a bunch of wheelchair-bound patriots. Disgusted by the way these heroes were treated, Republicans offered legislation that would keep our national memorials and parks open. Yes, he also threatened to veto a bill that would ensure active-duty military personnel are paid during the shutdown. You see, the people have to be punished. It just so happens that he enjoys punishing his military. 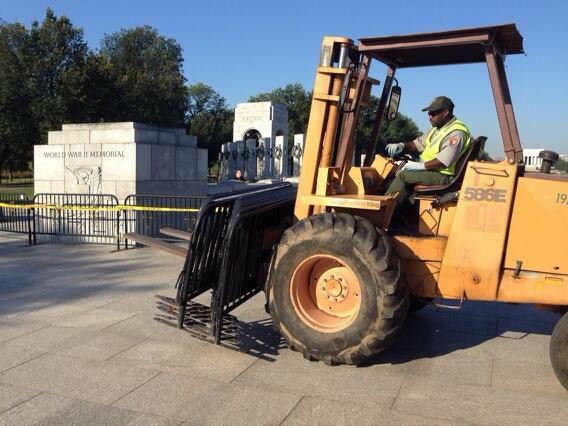 The WWII memorial barriers have since been reinforced. They’ve also attempted to blockade Mount Vernon, which is privately owned by the Mount Vernon Ladies’ Association and receives no government funding. And the other group of Americans that must now pay their “fair share” of pain are children suffering from cancer. Passing a short-time fix to ease the pain of children suffering from cancer is unacceptable to Obama and Reid because they don’t get what they want. UPDATE: The Obama Administration has closed the Grand Canyon, and refuses to open it even after Arizona offered to pay for it. “Disadvantaged businesses” are considered any business which is not owned by a white male, or a majority of white males. Although McCrossan has the highest technical score, and has offered the lowest price, ($6 Million cheaper than the next bidder) they are apparently 6.1 percent ‘whiter’ than the other bridge-builders. Ames Construction and Lunda Construction achieved 16.7 percent for disadvantaged business participation, while McCrossan had a disadvantaged business participation of 10.6 percent. THE END IS HERE!!! 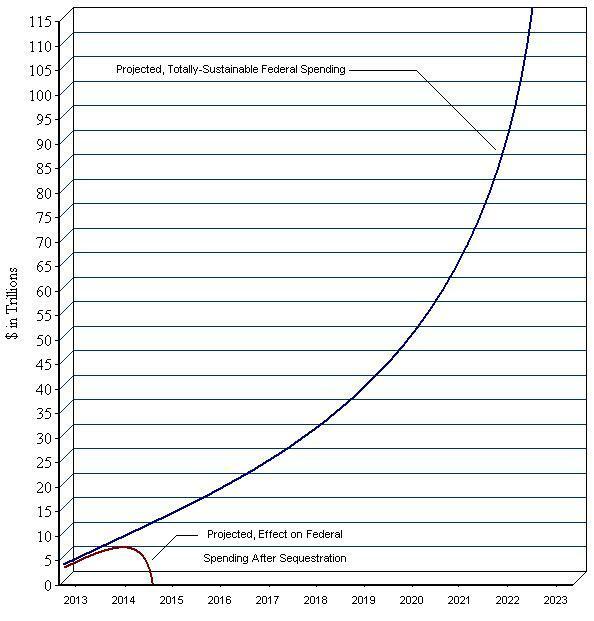 SEQUESTRATION IS UPON US!!! Despite President Obama’s righteous and noble efforts, he was unable to stop the arbitrary, across-the-board, devastating automatic spending cuts he designed from taking effect. Under sequestration, returning to an agrarian society expected around 2018. 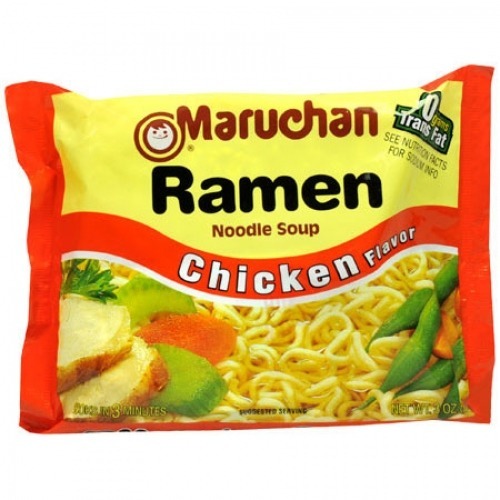 Rather than fall victim to the millions of unemployed wife-abusers that will soon be vagabonding the streets of America, I have descended to my cellar with enough instant rice and Ramen noodles to sustain myself for months. With essential services absolutely decimated, anarchy and mayhem will soon be the law of the land, with marauding mad-cow-afflicted citizens preying on the most vulnerable. 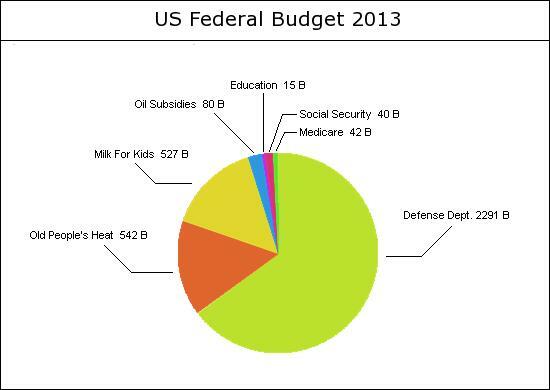 Using information gathered from watching MSNBC, I have learned that, beyond defense, all that’s left to cut are seniors’ heating and milk for children. Be ready to shoot through your door with a shotgun, things are about to get ugly. Obviously, this is terrible, terrible advice. A heartbeat away from the presidency, folks. William Ayers, the co-founder of the violent 1960s-era Weather Underground and who later befriended Barack Obama at the University of Chicago, has been named a “visiting scholar” at Minnesota State University, continuing his transformation from radical activist to establishment leader. Naturally, the gun-grabbers see nothing wrong with this.